Keri Culver is an independent evaluation specialist, researcher and trainer. She has been in the field since 2004, conducting a range of evaluations and research projects from the highly qualitative (ethnographies, case studies, and focus and discussion groups) to the highly quantitative (including experimental or RCT and quasi-experimental impact evaluation designs). Keri specializes in evaluating programs for hard-to-reach and marginalized populations and in countries affected by conflict. She also has extensive experience with in-depth capacity building: training in evaluation, field research, ethics and other topics. For Keri’s deepest sectoral experience and selected reports, please click here. Keri’s countries of field experience. 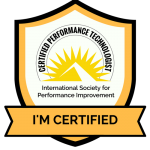 Keri is a Certified Performance Technologist with the International Society for Performance Improvement and a member of the American Evaluation Association.